Not many downtown performances (it’s at La Mama ETC, so it’s downtown!) raise security alerts, but that’s what happens when you use words like “asylum” in the title. There are a couple of professional Irish dance “ringers” in the troupe, but the rest of the performers are survivors of torture in Africa, Asia and Eastern Europe. But while there’s speech and song, don’t expect a narrative of horror stories. The work is about recovery more than fall. Through their bodies the dancers demonstrate the resilience of the human spirit. You don’t have to have direct experience of torture to be moved by that. We all have something to recover from. We all sometimes feel like we are falling. The piece is inspirational, not instructional. It’s good. Video, pics and review after the jump! 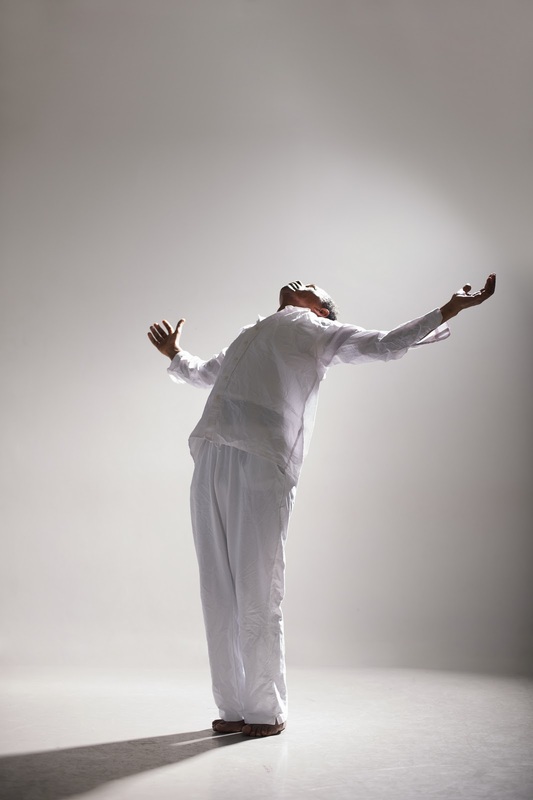 The show began as a dance therapy workshop led by John Scott, artistic director of imdt (Irish Modern Dance Theatre), with the SPIRASI Centre for Care for Suvivors of Torture (CCST) in Dublin. Using music, live and looped, by Rossa O’Snodaigh, of the World Music band Kila, 11 dancers, all dressed in white, breathe in and out, link arms, rise up on their toes, and speak in languages other than English. At the very top of the show, a black woman sits in a chair, quietly speaking, while the white woman next to her mirrors her gestures with less intensity. But it doesn’t matter– the piece is full of surprise and mystery. Early on all of the dancers lie on the floor and draw on strips of long white paper. You can make out houses, churches… then they rip the papers up, and as they try to cath them, there’s something wonderful in their movements. Even if you didn’t read the program, which includes the United Nations Convention of Torture definition and then paraphrases that to say that “the aim of torture is not to kill the victim, but to break down the victim’s personality,” you’d know as you watch that something significant has happened to the people onstage. It’s hard to say how– is it the slow, deliberate, and gorgeous full-body breaths taken by Sebastiao Mpembele Kamaldandua? Or the face of a beautiful African woman as she slowly slides down a wall? Several of the dancers write in their bios that they cannot name their countries because they fear for their families at home. There’s a seeming contradiction there: performing without fully revealing identity. But they really reveal themselves even more– what they share, and share with us, trumps the differences. When the dancers lock arms in a long row, and shuffling, they gradually turn the line. It’s a powerful image of solidarity. And you feel in solidarity with them. 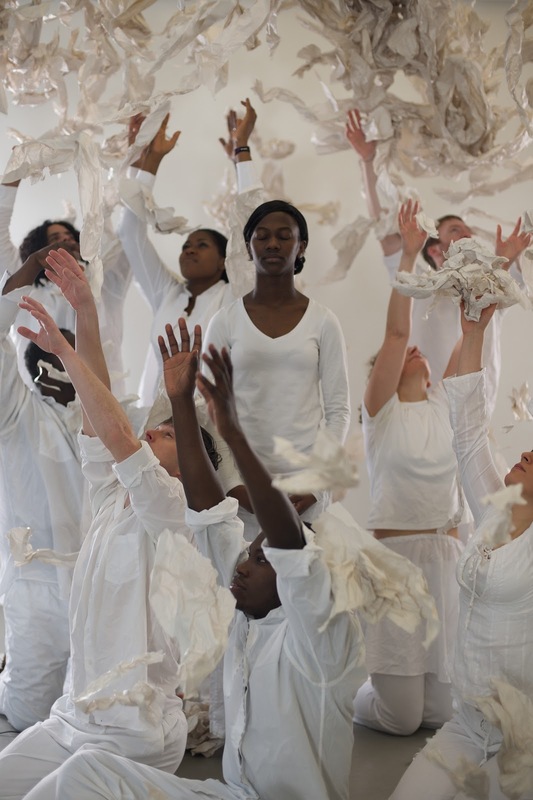 The show is part of Culture Ireland’s Imagine Ireland, a year-long season of Irish arts in America in 2011.